Offseason means one thing, holiday mode! If you follow me on social media, you’ll see I’m never too far from the beach – getting salty hair and tanned skin. And, I’m always with my partner in crime, my beautiful wife and our two beautiful children. I recently spent some much-needed family time down in South West Rocks, NSW, near the Macleay River. It’s the perfect spot to soak up the sun, swim in the surf and enjoy life with the people who mean the most. It’s one of my family and I’s favourite spots, and it also gives me a chance to put my Mazda BT-50 to work. The BT-50 and I are a perfect match. Like me, I like to push myself to the limit, work hard and hit the ground running. The BT-50 is all that, and more. It’s the complete weekend warrior, and even when I’m driving across beach sands, off-roading or cruising across highways, it’s always a smooth ride. The spacious cabin means the whole Glenn tribe can enjoy the long car rides, that’s important when you have two kids in the back seat. Fishing rods, tents, clothes, even our dog - everything goes in the back. We just gear up and go! 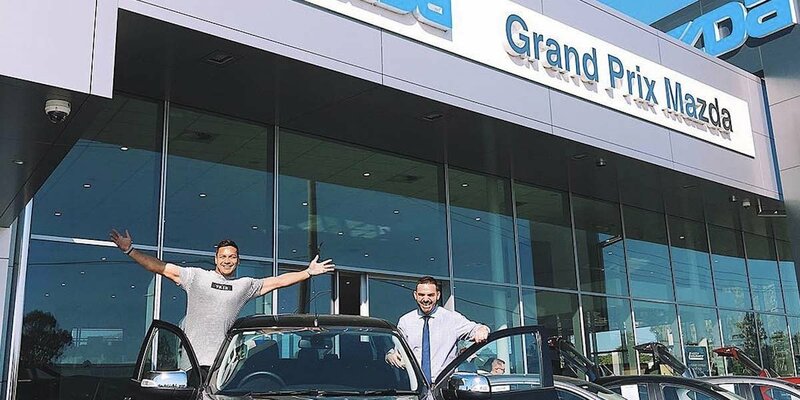 My good friend, Luke Camilleri, and his Grand Prix Mazda Aspley team have always set me up with everything I need. And, they know the BT-50 is the perfect car for me. It’s perfect for both work, and play. Even better? 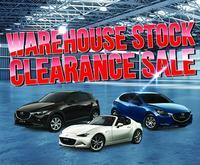 Grand Prix Mazda Aspley’s first ever Mazda Ute Centre Stock Clearance is this month. For 1 day only, they’ve got clearance across the entire Mazda BT-50 range. There’s unbeatable drive away prices across the range, 3 years free scheduled servicing on all BT-50’s, and 5-year unlimited kilometre warranty. 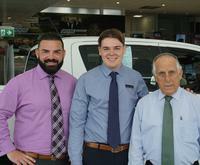 Experience the BT-50 XT Dual Cab from $39,990 driveaway, or the BT-50 XTR Dual Cab from $46,990 driveaway. That also includes 5-year unlimited kilometre warranty across the range and 3 years free servicing on 3.2L models. If you’re like me, you love a weekend away, the sun, sand, and water with those who mean the most. 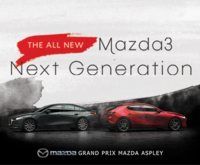 Make sure you get in and see the BT-50 experts at the Mazda Centre at Grand Prix Mazda Aspley.